While Eminem’s emotionally and politically charged ‘Revival’ hits home where it matters most, the veteran rapper fails to leave a lasting impression. Had Eminem followed his own advice upon some of his more recent records, it would have been a satisfying conclusion to an accomplished career. Recovery (2010) marked a triumphant comeback following a troubled hiatus. The Marshall Mathers LP 2 (2013) was his strongest and most focused album in ages. Even Shady XV (2014), although burdened by a disc of hit-and-miss new material, could still have been the career-capping greatest hits collection that 2005’s Curtain Call was once intended to be. If Eminem’s recently-released Revival is to be the final act for the hip-hop veteran, it will sadly be a less fulfilling bow-out than any of those other albums would have been. That is not to say that the new record is without its strengths, but overall it is unsatisfactory coming from an artist of such caliber. As a potential swan song (“I’ll put out this last album, then I’m hanging it up,” he raps), Revival evokes Michael Jordan’s “Last Shot” from the ‘98 Finals less than it does the “old vet trying too hard” feel of MJ’s unnecessary two-year stint with the Washington Wizards. When the album succeeds, it is when Eminem manages to scrape together new and compelling subject matter — a praiseworthy feat for any artist on their ninth album. Mr. Mathers saves his best for the final two tracks: “Castle” addresses his feelings for his daughter — now that she’s 22, that topic is markedly different from what “Hailie’s Song” and “Mockingbird” were over a decade ago — while “Arose” takes us on a tour of the hospital room where Eminem was being treated for a frightening overdose of methadone around this time in 2007. 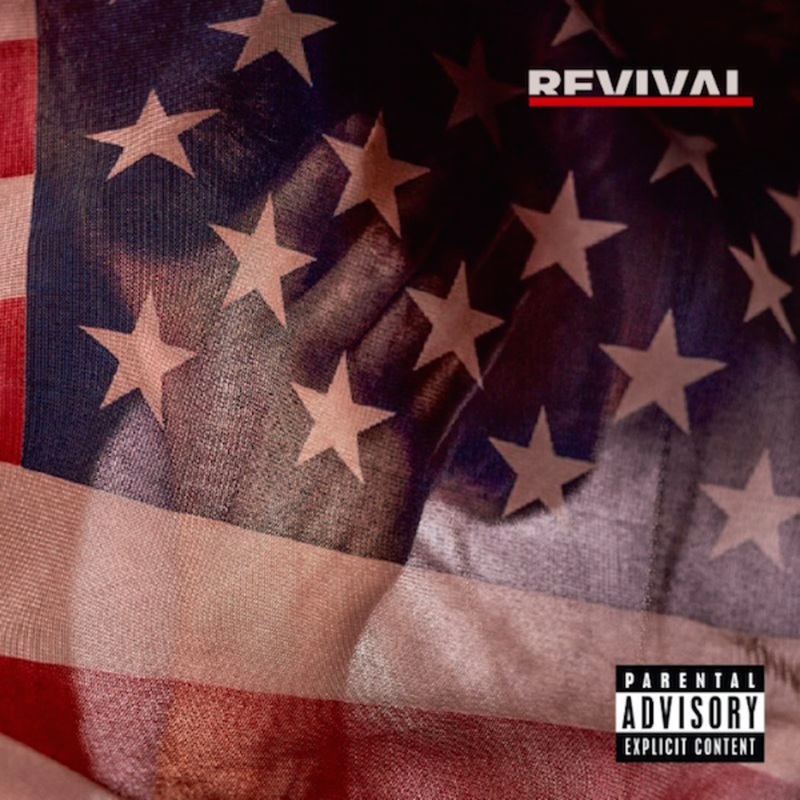 Elsewhere, Eminem addresses his relationship woes on “Bad Husband” and “Tragic Endings,” while also engaging in some of his clever playfulness of old on “Offended.” Without challenging “Mosh” for the title of the best Eminem song to go on a rampage against the current president, “Untouchable” and “Like Home” take some clever swipes at Donald Trump, giving Revival some much-needed topicality in the process. On the other hand, familiar weaknesses, along with some new ones, surface on Eminem’s latest. He has never tempered his inability to trim his albums of their fat: Revival might be no less than his sixth 80-minute LP that would have been better off at 60 minutes or less. Attempts at gross-out humor and shock value (particularly on “Framed,” a throwback to Eminem’s little-missed Relapse era) sound quite tired coming from a 45-year-old. Age has also made his flow and delivery much choppier than they were before; that was clear on the uneven lead single, “Walk on Water,” and manifests itself many times again over the course of 19 tracks. One of the most perplexing decisions throughout Eminem’s catalogue is his apparent reluctance to invite other rappers onto his albums. 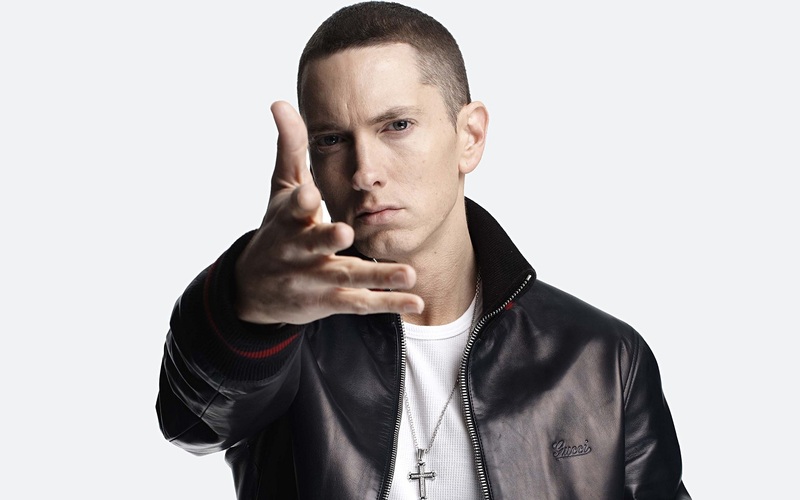 The rare exceptions — including “No Love” with Lil Wayne and “Love Game” with Kendrick Lamar — have often been among the highlights of their corresponding records, and Eminem has produced many fiery duets when he’s been the guest artist (see “Renegade,” “Patiently Waiting,” and “Drop the World” for proof, among others). So why have 13 years passed since Eminem last put out an LP (2004’s Encore) that included more than two tracks with featured rappers? You won’t find the answer on Revival. The lone guest MC, Brooklyn’s up-and-coming PHresher, makes little impact on the underwhelming “Chloraseptic.” The pop artists littered across the album occasionally impress, most notably Skylar Grey and Kehlani. But was there really anyone who would have rather seen Eminem team up with P!nk and X Ambassadors than, say, Chance the Rapper, Tyler the Creator, or any other of today’s leading rappers? The production here is no less questionable than the choice of featured artists — probably more so, in fact. Dr. Dre may not make that many beats anymore, but surely he could have serviced his most famous protegé with more than a 26-second interlude, “Remind Me (Intro)”? Despite the presence of Rick Rubin and Alex da Kid, who have achieved compelling collaborations with Eminem in the past, few highlights emerge from this collection of mostly second-rate beats and rock interpolations, The raw samples of Joan Jett’s “I Love Rock ‘n Roll” and the Cranberries’ “Zombie,” among other old-school favorites, don’t help matters much. Eminem remains a talented artist and songwriter, and that grants Revival a handful of commendable qualities. Its flaws are just as numerous, unfortunately. Now that the rapper has reached the latter half of his forties, his own suggestion from way back in 2002 might be one worth considering.